Stuff to Do and Make! The Predictor Cards This is the trick with four cut-out cards, you pick a number from 1-16 and it mysteriously appears in a hole at the back! The Dice Net Puzzle Cut out the shape then try to make a dice - a test of logic and nets! Solve this on the paper, or draw it out on the floor and step from square to square! Can you reach the X in just seven moves? Making Flexagons A simple video guide to show how to make a triflexagon. This page has a printable template you can copy and hand out. 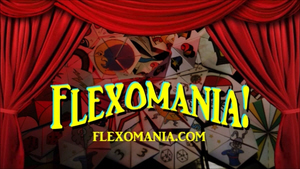 There is also the more advanced Fabulous Flexagons page. The Four Colour Map Theorem The maths problem that simply involves colouring in - and could make you famous! What Were You Like When You Were Born?